Selected Articles: A Lasting Peace on the Korean Peninsula? Will the US Comply? “Lying” in mainstream journalism has become the “new normal”: mainstream journalists are pressured to comply. Some journalists refuse. The historic meeting between Moon Jae-in of South Korea and his North Korean counterpart has set the stage for further negotiations. Will the meeting between Kim Jong-un and Donald Trump take place? According to the US president it’s “up in the air”… “It could be that maybe the meeting doesn’t even take place. Who knows? Preparations for the meeting between Kim Jong-un and Donald Trump are for the moment continuing without a hitch. The next step is today’s historic meeting between Moon Jae-in of South Korea and his North Korean counterpart. On the table are several possibilities. Pyongyang’s strategy seems to be much more refined than it may seem. During this momentous period of historical transformation on the Korean Peninsula, reflecting the enduring aspiration of the Korean people for peace, prosperity and unification, President Moon Jae-in of the Republic of Korea and Chairman Kim Jong Un of the State Affairs Commission of the Democratic People’s Republic of Korea held an Inter-Korean Summit Meeting at the ‘Peace House’ at Panmunjeom on April 27, 2018. On April 20, North Korea made the dramatic announcement of several decisions that included suspending further nuclear and missile tests and that its “nuclear test center would be discarded in order to ensure the transparency of the suspension of the nuclear test.” A number of analysts, including a Washington Post column by Max Boot on Saturday, mistakenly dismiss the offer by claiming that the test site is probably unusable anyway. North Korea and the Dangers of Nuclear War. The Demilitarization of the Korean Peninsula. Towards a Peace Agreement. This text is the transcript of Professor Michel Chossudovsky‘s presentation at the ROK National Assembly, 국회의사당, Seoul, South Korea, February 21, 2018. This text also puts forth a North-South peace agreement proposal which hinges upon the annulment of the US-ROK Joint Forces Command which puts ROK forces under the command of the Pentagon. 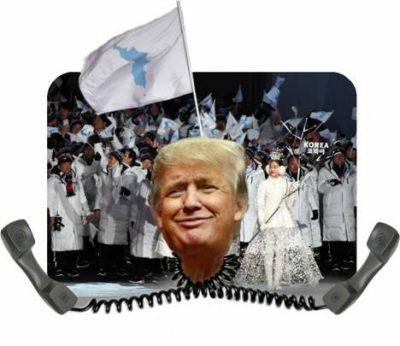 The Korean language version of this text has been circulated widely among politicians and activists in the Republic of Korea. South and North Korea will seek to hold tripartite talks with the United States, or talks including China, with the goal of declaring an end to the Korean War (1950-53) this year and establishing permanent peace on the Korean Peninsula, President Moon Jae-in and North Korean leader Kim Jong-un announced Friday. Video: On a Korean Peace Plan, The Role of the CIA. The Kim-Trump Summit, Will it Take Place? The Pompeo-Kim secret meeting was the result of a series of bilateral meetings between North and South Korea intelligence officials, which led to setting an agenda for future Kim-Trump summit. While a draft agreement has already been formulated, the Kim-Trump meeting is up in the air.